If you have ever had a baby or paid a visit to a newborn in the hospital you’re probably familiar with this scenario: you walk into the hospital room to meet the newest bundle of joy, arms outstretched, and before you know what’s happened you’ve been redirected to the hand sanitizer. Whether you’ve been on the giving or receiving end of this interaction, the question remains: is hand sanitizer a necessity, a danger, or possibly neither? Today we’d like to give you a taste of the type of topics and information provided in our popular newborn courses by diving into the good, bad, and ugly when it comes to hand sanitizer. The good news is that hand sanitizer really does do what it’s supposed to, that is to say, it effectively kills germs. Alcohol-based sanitizer can prevent exposure to and kill many viruses including the common cold, swine flu, bird flu, and stomach flu. You’ll read in a minute about the dangers of alcohol poisoning and sanitizer, but rest easy in the fact that using it in small amounts and being diligent about keeping it away from little hands and mouths is a simple way to avoid the risk of alcohol poisoning. Remember when we talked about how effectively sanitizer kills bacteria? It true, in fact, it appears that sanitizer kills good bacteria too, leaving our bodies weakened and more susceptible to bad bacteria when it comes in contact. Additionally, over time bad bacteria is capable of building resistance to sanitizer, rendering it ineffective to viruses that have grown resistant. 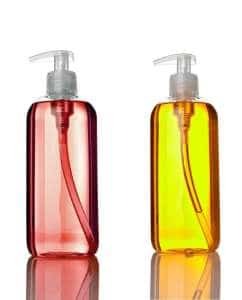 Although we asked you to rest easy on the topic of alcohol content in sanitizer, it is still important to note that most hand sanitizer contains 60% or more alcohol content, a dangerously high amount, especially if consumed. This is important to remember because hand sanitizer is usually kept in easily accessible bags or surfaces where little hands could reach. Now for the ugly: one factor to consider before piling on the product is the hormonal effects that its use can have on you and your baby. The FDA has been studying hand sanitizer and has found possible links to hormonal effects and other physiological issues thanks to certain ingredients commonly found in the product. If you’re unsure about using hand sanitizer or can’t make up your mind about whether pros outweigh the cons, limit risk by making sure to apply in small amounts, keep bottles out of reach of your child, and sign up for our healthy child course to put your mind at ease on all topics health and safety related. We provide valuable information about avoiding toxic exposure, protecting your little one’s nervous system, and the difference between safe and unsafe germs, among others.